Construction Galvanized Sheet Metal Structure in Panels 18 ga. 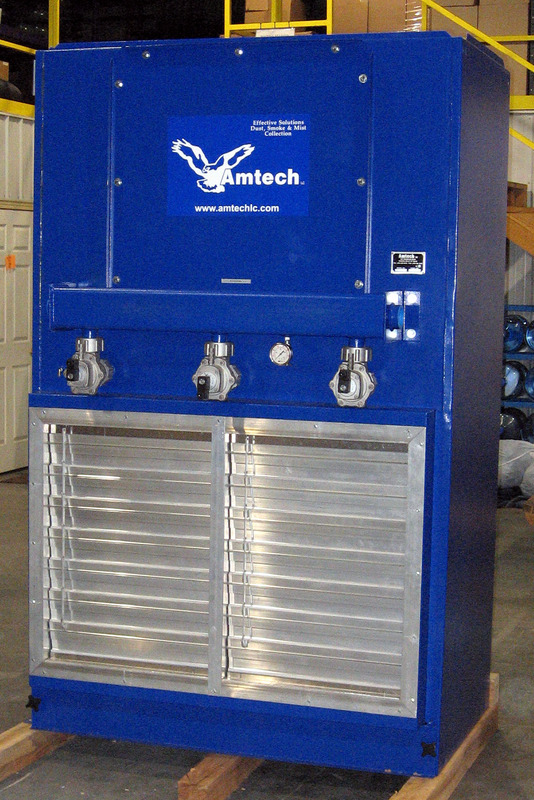 The EBM Series Dust Collector is designed for continuous operation. It’s a self-contained Up Flow system with Vertically positioned filters which eliminates particulate re-entrainment and improves filter life. •	Freestanding units can be installed individually or in conjunction with a booth. •	Various sized, self-supporting booth options are available to give workers ample working space. •	Modular, Compact Design permits proper sizing for each application. •	Front access dust drawers allow for ease of maintenance. •	Filters are easily accessed to facilitate fast replacement. •	Reverse jet pulse design optimizes filter cleaning and extends filter life. •	Recirculates clean air, eliminating the need for expensive make-up air. •	Relocation due to changes in plant layout is simple and cost effective. Please contact us to make this selection. •	Removing airborne dust from multiple sources. •	Carbon Steel Welded Construction 11 ga./14 ga.
Template Design © Code, Sweat & Pixels. All rights reserved.